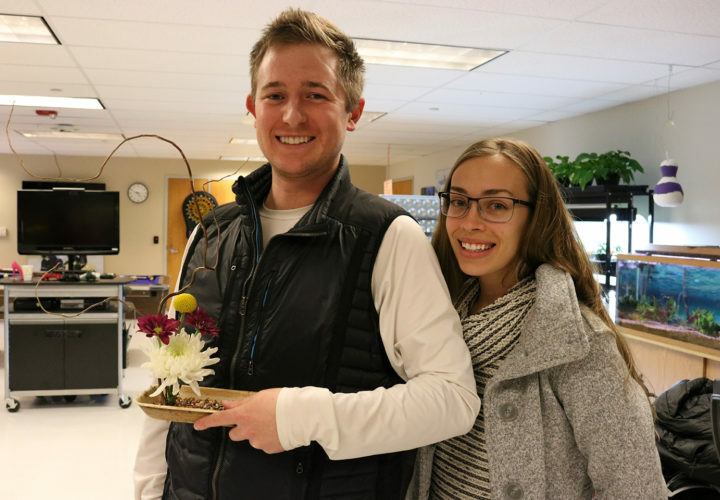 Craig patients and their family members learned the Japanese art of flower arrangement known as ikebana as part of a therapeutic recreation activity at Craig Hospital. 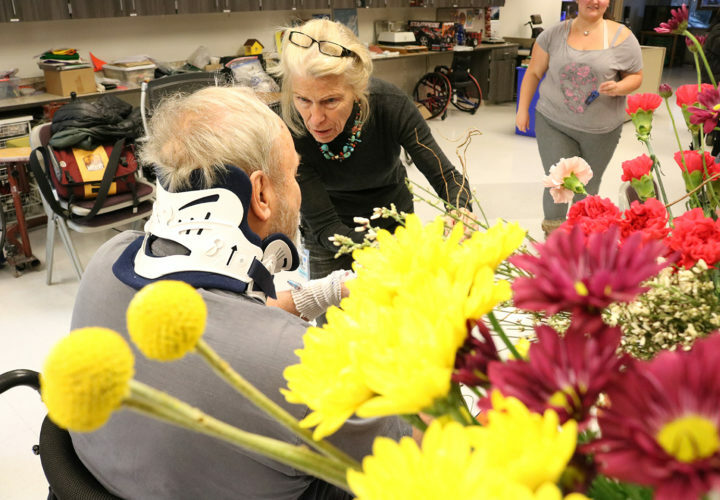 Craig patient Dennis Johnson and his wife Beth Erlund, who both trained in Japan in ikebana, offered the lesson to fellow patients as a hands-on therapeutic exercise. 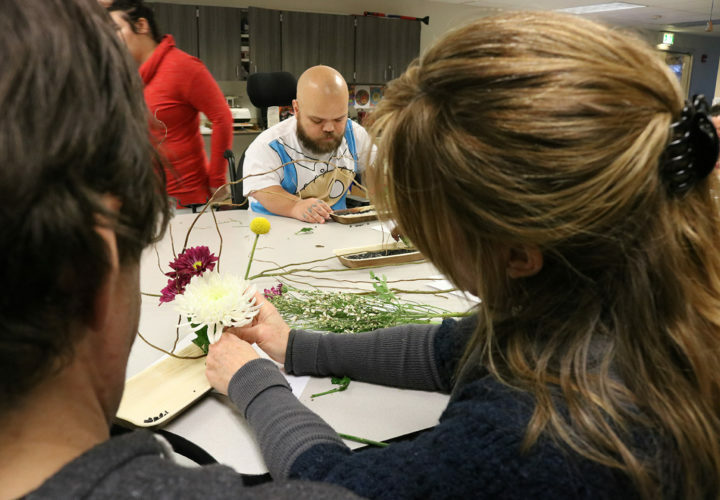 Dennis Johnson works on his flower arrangement. Ikebana differs from other “flower arrangement” approaches because it is asymmetrical and uses empty space as part of the composition. “Activities like this are great for our patients. 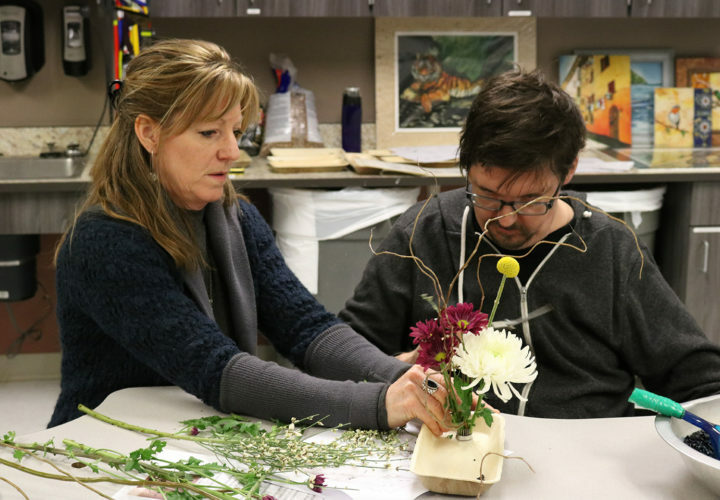 It helps build confidence and patients can work on learning a new skill,” said Susie Hall, Coordinator of Craig’s Horticultural Therapy Program. Hall said the activity has great therapeutic value because it allows for visual and fine motor exercises and social interaction. For patients with brain injury it encourages attention and following directions, concentration for patients with brain injury, decision making, and creative thinking. 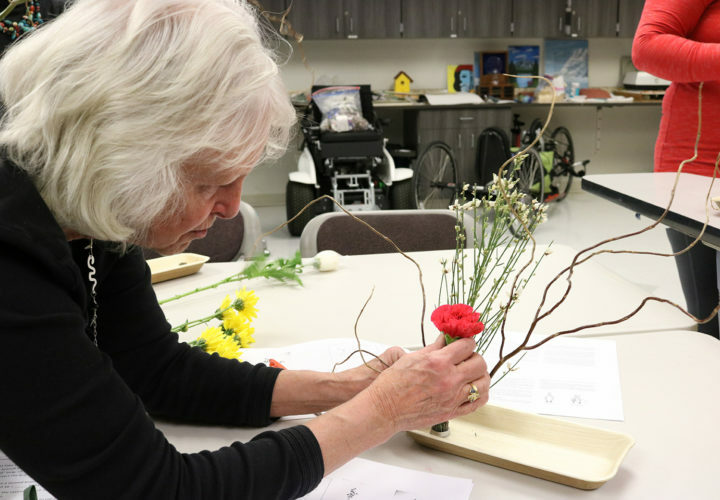 Beth Erlund teaches ikebana to Craig patients and their families. The event was part of Craig’s horticultural therapy program, one of the many different offerings under Therapeutic Recreation. 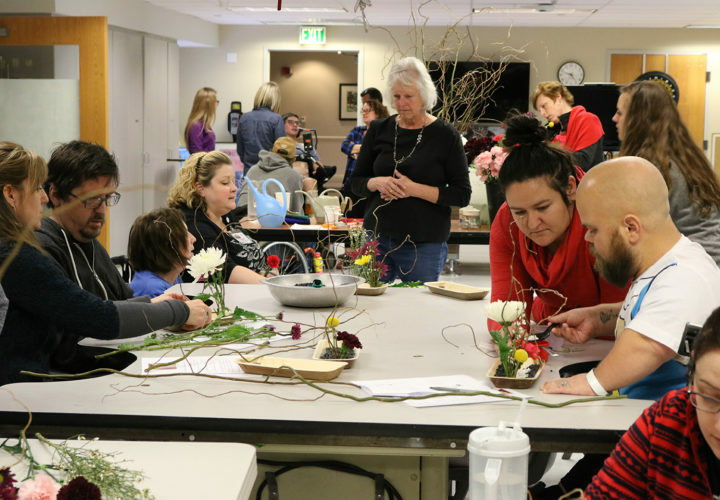 Craig patients and their family members participated in the therapeutic recreation activity to learn the art of ikebana. 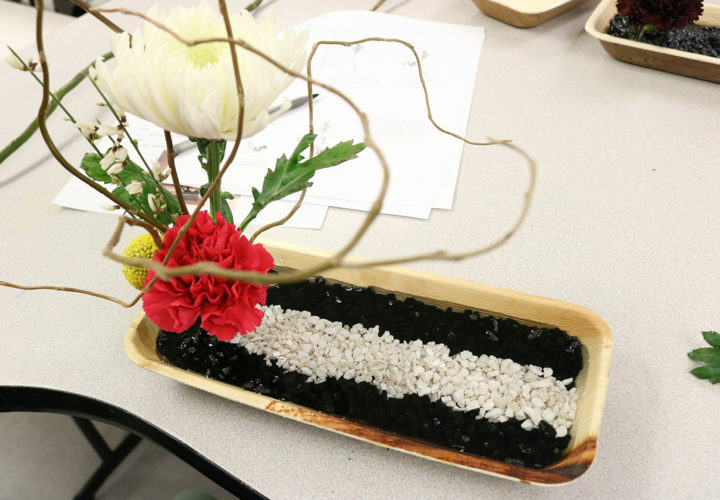 Beth Erlund and her husband Dennis Johnson, a Craig patient, teach others the art of ikebana as a therapeutic recreation activity.